At the foot of the Ochoco Mountains, at the head of the Ochoco valley, two creeks come together, Marks and Ochoco. Here is found some of the best topsoil in the region, gathered on the floodwaters of the centuries. This is ground that supports hundreds of wintering elk and mule deer. Wild pheasants and valley quail make a living in the willows and out in the fields of wheat and rye. Out of Prineville, the highway runs due east past Ochoco Reservoir and as the road begins to bend to the north, there is a huge timber-frame head gate that marks the entrance to Keystone Ranch. We hunted with outfitter Stan Rodgers at Keystone Ranch Preserve in Central Oregon in the last week of February. Ahead of a looming storm front, Rodgers turned loose a German shorthair and kept his black Lab close at heel. One of my hunting partners had his German wirehair pup in tow to complete his training. We started away from the vehicles into fields planted with triticale and alfalfa and found our first birds in the tall grass and followed one that flushed wild up into tall sagebrush. After an hour, pushing along a creek bed and fence rows, we formed up on a cattail swamp and let the dogs work the roosters out of it. On our hunt, we bagged pheasants and a few leftover chukar. The roosters had long tails and were healthy and good fliers. The chukar were big and strong as well. We did flush one covey of valley quail and held our fire. "On years when we get a good hatch, we can get some good shooting on wild quail," Rodgers said. Keystone does offer released bobwhite when they are available. The wing-shooting program on the 12,000-acre Keystone Ranch started in 2004 with 600 acres under the preserve license. Keystone is part of a larger operation called Centerfire Outfitters, which offers big game hunting for elk and mule deer on five ranches and 150,000 acres. Rodgers has half a dozen different hunts on this property that take advantage of various habitat types. Pheasant hunts are conducted in the crop fields, the cattails and along the creek bottoms. Chukar hunts take place in sage brush and rim rock areas in the foothills. Quail hunts are staged along Lawson Creek on the high grassy banks and among thickets of willows. One of the interesting aspects of the Keystone Ranch is that part of the ill-fated Meek's wagon train (1845) trailed through this valley while being harried by Indians. Days before, children in the party found gold at a spring and ever since, prospectors and adventurers have retold the story which has become the legend of the Blue Bucket Mine. Northern Paiutes called this valley home. Their trails that follow the ridgelines are still visible, as are the tracks of the wagons. For the non-hunter, there are a lot of recreation options. Nearby, the traveler can find hiking trails, mountain biking, horseback riding, birding and fishing. For local history, check out the Bowman Museum (www.bowmanmuseum.org) in downtown Prineville. 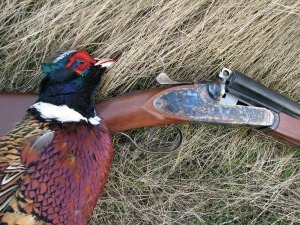 Prices for pheasant hunts start at $560 for 20 birds (80 percent roosters). A 30-bird hunt costs $835. Additional pheasants cost $27.95 per bird. Chukar hunts start at $367 for a minimum 21 bird hunt; additional chukar cost $17.50 per bird. A combo hunt (20 pheasant and 10 chukar) costs $730. When available, bobwhite and Tennessee red quail may be released at a cost of $11 per bird. Hunters are encouraged to bring their own pointing or flushing dogs. For those that want to employ a guide and the ranch's dogs, the cost is $65. Guide duties are handled by both Stan Rodgers and his daughter, Libby Stahancyk. Rodgers has three German shorthairs and two black Labs, which are trained pointers as well as flushers. Bird cleaning, on request, costs $1.50 per bird. We found Rodgers' dogs to be strong, well-trained and enthusiastic. It was fun to watch the GSP work in concert with the Lab Rodgers used for both pointing and flushing. 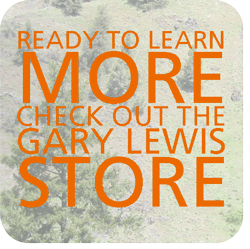 Hunters from out of the area have many lodging choices in Prineville. Two of Rodgers' recommended hotels are the Best Western Prineville (541-447-8080) and the Stafford Inn (541-447-7100). One upscale option is Brasada Ranch (www.brasada.com, 866-373-4882), a golf course community with swimming, tennis and spa facilities. The city of Prineville (population: 9,173) offers several restaurants. The larger communities of Bend and Redmond are 20 minutes and 40 minutes from Prineville. Travelers can fly into Redmond (RDM) and rent a car for the 30-minute drive to the ranch. An Oregon 3-day nonresident hunting license ($26.50) allows the hunter to pursue upland birds and is available at sporting goods stores and on the ODFW web site. A one-day preserve license is available for $6 (residents) and $12 (nonresidents) and may be purchased at the ranch. For information, or to request regulations, call 800-720-6339 or visit www.dfw.state.or.us.